Lunch, A Revamped Pantry Program and Nutrition Education! ​Our Food and Nutrition Department strives to improve the health and quality of life of individuals living with chronic illness through health education and the provision of healthy foods. 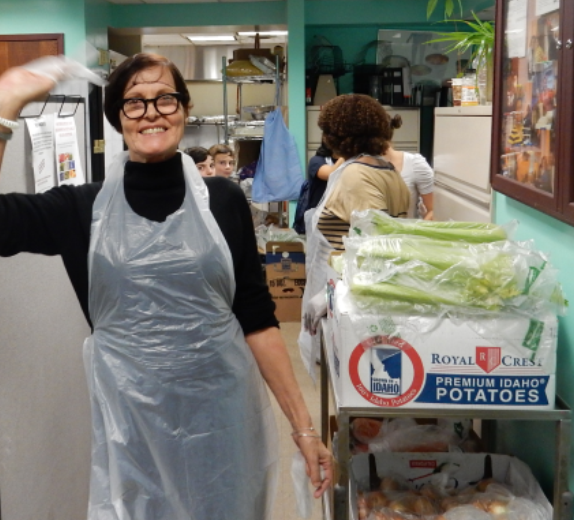 Iris House has been offering food and nutrition services since 1994 to our HIV+ clients, but did you know that we’ve offered meals and pantry bags to the general community for over a decade? In fact, starting in November, our food and nutrition programs for the community are getting more robust! In addition to lunches provided four days a week, Iris House is improving its community pantry program to a robust client choice pantry and providing nutrition education workshops. Community members will come into our new workshops and be given a list of pantry options for the week, from which they may select foods from a range of food groups (e.g, vegetables, protein, grain, dairy.) While they learn about topics ranging from Food Safety to Cardiovascular Health to Preparing Foods on a Budget, members of our team will take their “shopping lists” into our pantry and prepare their personalized pantry bags. These bags will contain ingredients for twelve meals, and families of five or more will receive two bags. Community clients are eligible to participate in this program once a month after a referral from a partner agency, which can be obtained via the NYC Hunger Hotline (866-888-8777). This program follows a model that Iris House has used for several years with our HIV+ client population and is made possible through a grant from New York State’s Hunger Prevention and Nutrition Assistance Program (HPNAP). For more information on this program, please contact our Nutrition Program Assistant, Laa-Iqa Jones at (646) 548-0100 x204.